You can make aluminum foil boats in a variety of shapes using items from around the house. Science educators commonly use aluminum foil boat making projects as a way to teach students about design and buoyancy. The culmination of these projects is often to test all the boats to determine which student's design is capable of holding the most weight before sinking. Make different shapes of aluminum foil boats to test various concepts and find the best possible design. 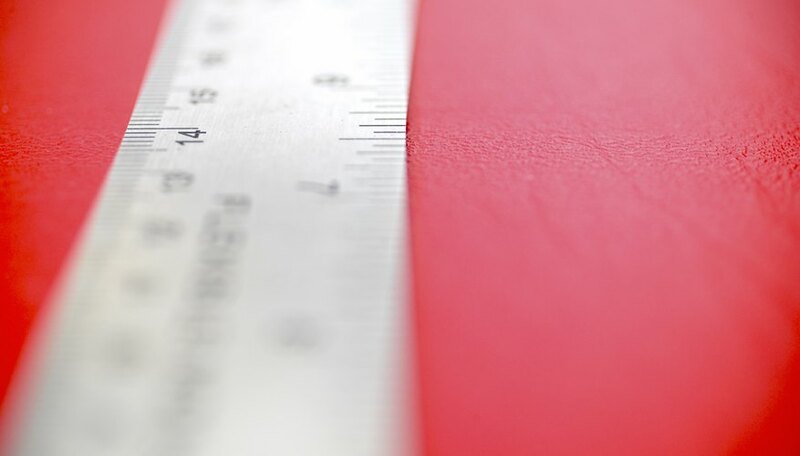 Measure and cut several uniform squares of aluminum foil using a ruler and scissors. Some projects and competitions have preset foil sheet dimensions that must be followed. Ten centimeter squares are a good basic starting size for small aluminum foil boats. Shape the pieces of aluminum foil into various boat shapes by free forming them by hand or molding them onto household objects. The bottoms of small cups, bowls, dishes and even toy boats will give the hull of the aluminum foil boat a consistent shape. Fix the different shapes of aluminum foil boats in position with clear adhesive tape. Use as little tape as possible to keep the boat's overall weight low. Test the different aluminum foil boats by floating them in a bathtub or other large tub full of water. Add one penny at a time to each boat until they sink and keep track of which designs held the most pennies. Brian, Jeffrey. "How to Make Different Shapes of Aluminum Foil Boats." Sciencing, https://sciencing.com/make-shapes-aluminum-foil-boats-5895045.html. 24 April 2017.